This cool and contemporary top in double georgette woven fabric pairs well with slim crops and leggings. With double lace insets in front, around the sleeves and down the length of the back, it comes with a coordinating jersey-knit cami. 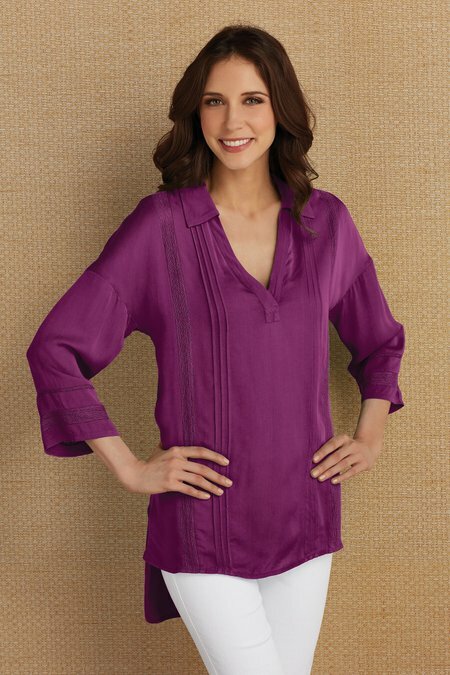 Pintuck detailing, dropped 3/4 sleeves and a high-low hem finish this breezy top. Viscose/cotton lace. Misses 29"/32" long.